Video distributors help in distributing the video signals to a number of cameras and hence are vital equipment that comes handy for your surveillance/ security system connections. We have quality products in this category which you can order and get them delivered at your door steps. 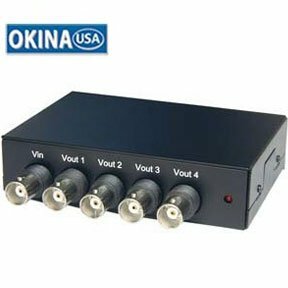 Under this category, we have Okina 16 Input 48 Output Video Amplifier and other products which you can choose according to your requirements. SF Cable offers you quality products at competitive prices. All our products are manufactured by ISO 9001-2000 registered manufacturers ensuring the quality and safety of the products.